A. This my second summer working for the agency. I currently work at Pearl Street and the farm. A. My senior year I volunteer at Champion Street. 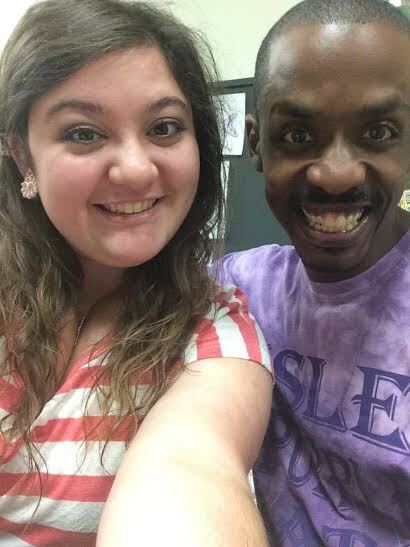 A. Earnie White inspires me because he is always smiling and is always ready to help anyone without ever expecting anything in return. A. Reese’s penut butter cup because Reese’s peanut butter is life! A. I would be a cat or any animal that sleeps a lot so I wouldn’t be frowned upon for sleeping excessively. Also, cats are just adorable. Q. NAME YOUR FAVORITE SONGS AND WHY? A. This is an impossible question! I guess I would have to say that right now I’ve really been into anything by the Avett Brothers. Their lyrics are amazing! I am going to see them in concert next month and I am ecstatic. A. The Outsiders. I read it for the first time in 7th grade and I try to reread it every year because its good stuff! A. Well, besides the Lunch Bucket, I’m a big fan of The Melting Pot!